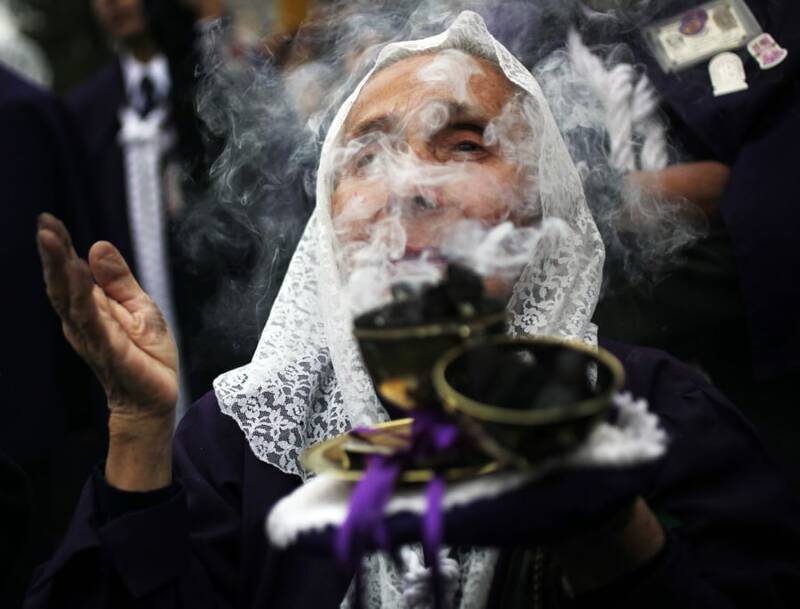 A woman burns incense during a procession honoring "The Lord of Miracles," the patron saint of Lima, in Lima, Peru, Oct. 18, 2012. 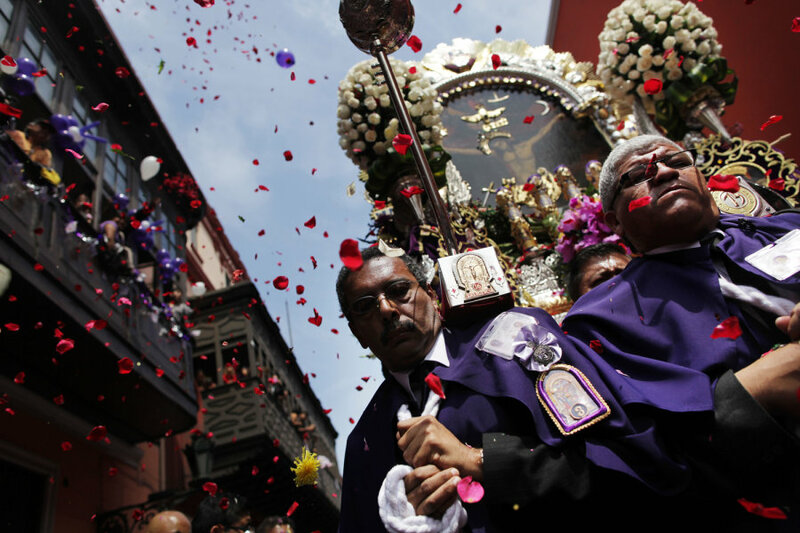 Under a rain of rose petals, people participate in a procession honoring "The Lord of Miracles," the patron saint of Lima, in Lima, Peru, Oct. 18. 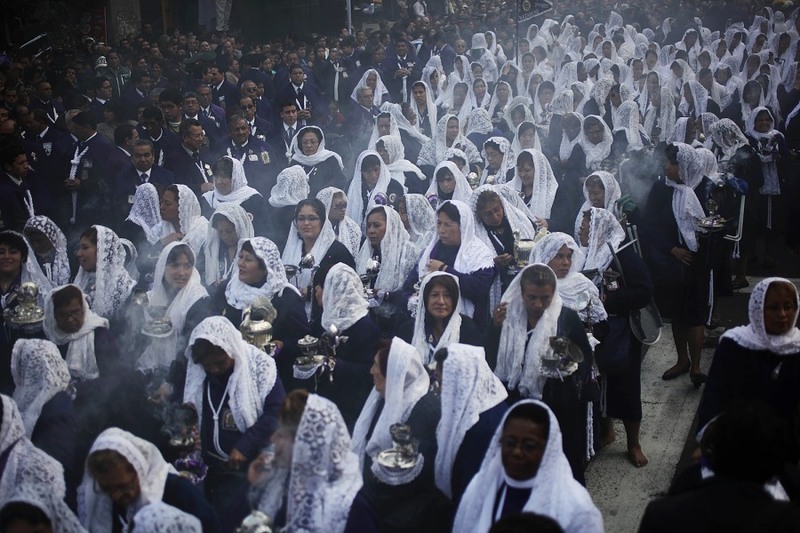 Women participate in a procession honoring "The Lord of Miracles," the patron saint of Lima, in Lima, Peru, Oct. 18. 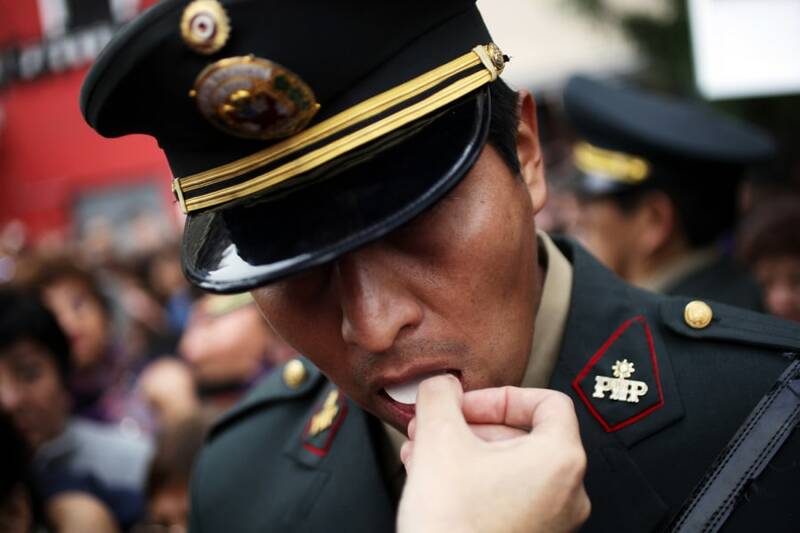 A police officer receives communion during a procession honoring "The Lord of Miracles," the patron saint of Lima, in Lima, Peru, Oct. 18. 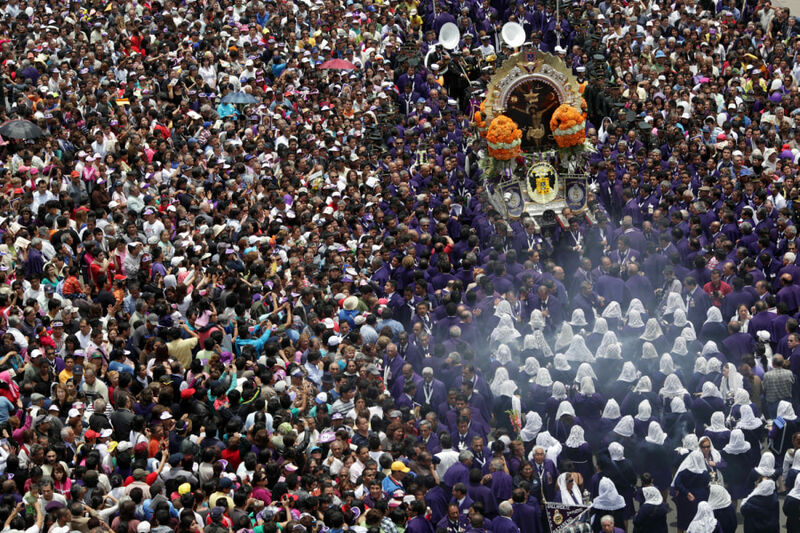 People participate in a procession honoring "The Lord of Miracles," the patron saint of Lima, in Lima, Peru, Oct. 18.